Polk Audio PSW111 is a single 8-inch subwoofer, while its competitor Polk Audio PSW505 is presented in the 12-inch size. 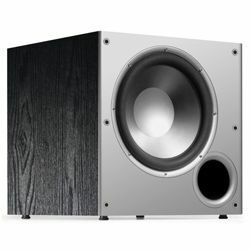 When testing Polk Audio PSW505 vs PSW111 subwoofers, I discovered the differences not only in the driver size but also in their power features and audio performance. 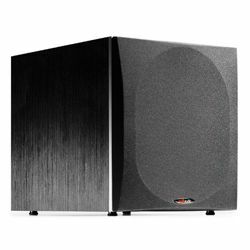 In particular, Polk Audio PSW111 ensures 300W maximal output power versus 480W in the PSW505 so the second one is obviously more powerful and can deliver the sound of better quality. However, Polk Audio PSW111 exceeds the PSW505 in terms of sensitivity (90dB vs 85dB) and frequency response (38-250Hz vs 25-160Hz). Thus, the first unit is better for the audio content of higher frequencies. I can say that Polk Audio PSW111 performs really good sound. Its driver is equipped with compression circuitry that limits the distortions. The subwoofer is a perfect match for RM and SurroundBar series. It can be connected to the speakers from other producers, as well. Polk Audio PSW505 is a stunning device that improves bass response. Get ready for impressive sound and thunderous bass when connecting this woofer to your system. The Slot Load Vent technology removes noise and distortion, making the sound precise and accurate. The sub can be blended with any compatible device and produce impressive sound. Since both models belong to PSW series, they have much in common. The units are equipped with a floor firing port. It allows getting the maximum bass effect and keeping the front of the woofer’s cabinet low-profile. Polk devices use the Klippel Distortion Analyzer that optimizes and aligns all the sound features and guarantees excellent performance even at the highest sound levels. 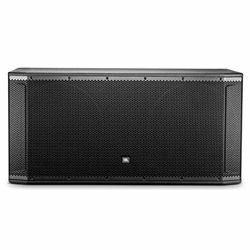 Polk subwoofers use special techniques that let tune out unwished resonance and distortion and bring clear sound. The subwoofers of PSW series are produced with intelligent amplifiers. Thus, the devices can not only deliver high power, but also they can use it little at low volumes or when it is on standby mode. Also, both subwoofers have multiple inputs that allow being connected to multiple systems easily. Both subwoofers are rock-solid. Their design isn’t easy to compare because they differ much: Polk Audio PSW111 has a small cabinet with curved corners, while Polk Audio PSW505 has bigger classic square cabinet. The units come in black and will fit any interior style. 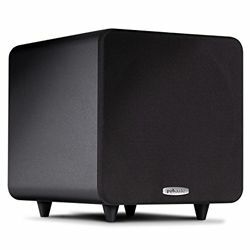 A small-sized subwoofer able to deliver a nice vibrant sound. It doesn’t get very deep in the bass. The subwoofer possesses a huge reserve of power. The unit is pretty expensive.